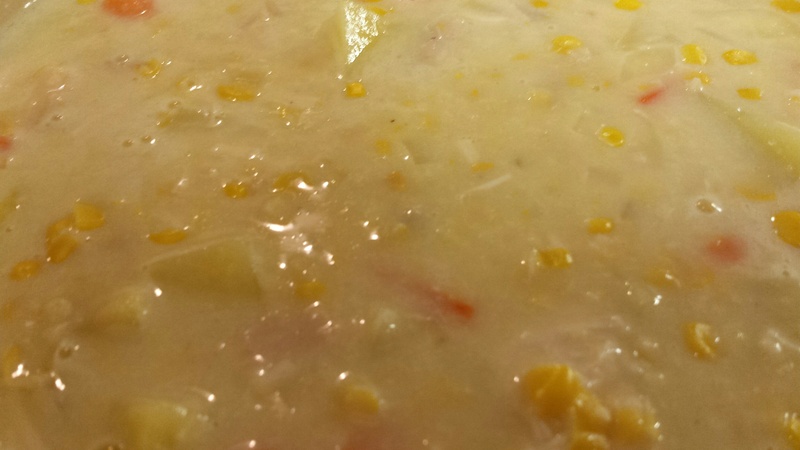 I tried to recreate this chowder recipe because I had it from a Wawa recently. It was delicious, and I hope you think so, too! Sauté pepper and onion in olive oil in a large saucepan until onion is translucent. Add carrots and potatoes, continuing to cook until potato absorbs oil. 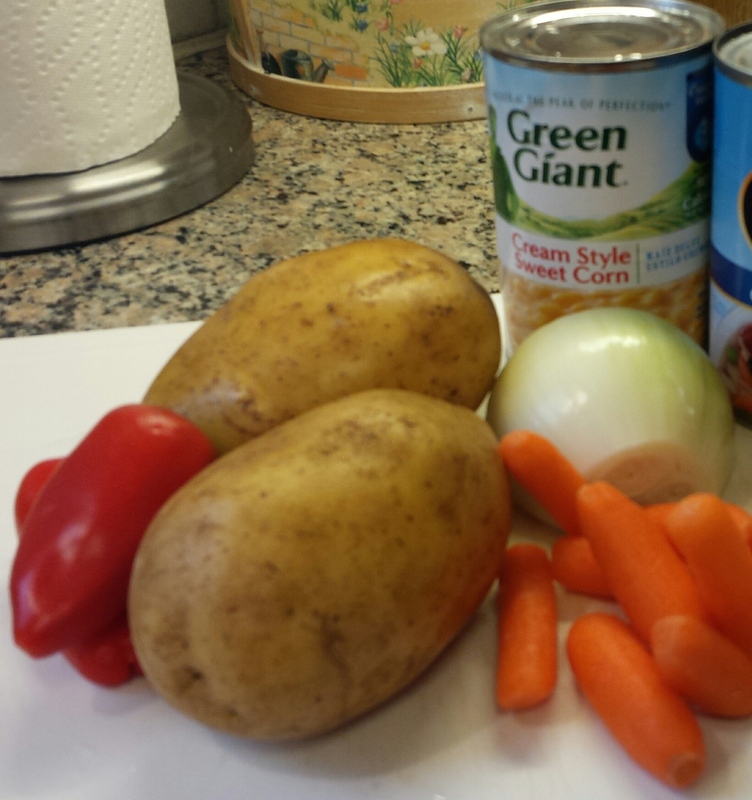 Add chicken, the two cans of creamed corn, and one can of milk. Cook about thirty minutes on low until potatoes are soft, stirring often so milk doesn’t scald. 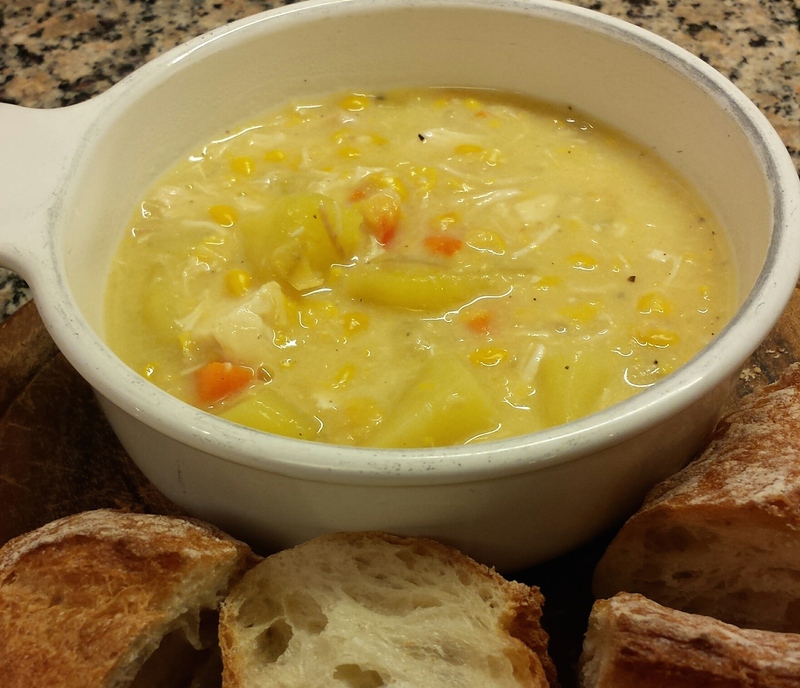 This entry was posted in Cooking, Food, Photos, Recipes and tagged Chicken Corn Potato chowder, chowder, recipe, soup recipes, Wawa. Bookmark the permalink.